Helping to build a stronger community with greater opportunities. We all want a fair go. To be healthy, live well and be able to take advantage of any opportunity that comes our way. And this is exactly what the Murdi Paaki Regional Enterprise Corporation (MPREC) has been working to ensure for Indigenous communities living in Western New South Wales since 2003. By helping people in remote communities not only gain the skills they need to overcome vocational and non vocational barriers, become work ready and to help them find work, but also conduct activities that increase community engagement and development, MPREC is providing an essential service to their community. "We're in a much stronger position now to help provide essential services to our community and that's a great feeling." 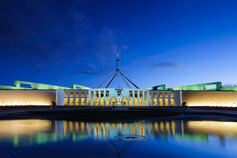 A significant way they’re working to do this is by helping to fulfil the complex requirements of the Federal Government's Remote Jobs and Communities Program. To achieve this in a challenging and highly scrutinised environment, MPREC recognised that they had to strengthen their business model. For remote communities, short-term help doesn't always translate into long-term results. This is why MPREC wanted to ensure their foundations, structure and the support they received enabled them to look beyond 'quick fix' solutions. With the assistance of KPMG, MPREC has been able to implement strategies to support a resilient, transparent and highly effective business. In addition, their senior management are undertaking coaching and mentoring to strengthen their capability in all facets of management. A stronger community with greater opportunities... it's worth working for. 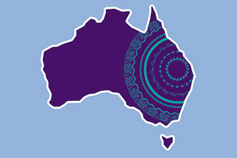 We use our skills and resources with Indigenous Australia to foster reconciliation.